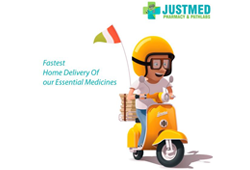 Justmed.in is one the biggest online platform for all the medical care products at most affordable prices. You can buy medicines online by simply uploading the picture of the prescription on justmed.in or you can also download our Mobile App. We are the Online pharmacy delivering medicines throughout India.